This is a preliminary Mac OS driver installer for laptop HP Pavilion G6-2209SS with support for dual boot Bootloader. 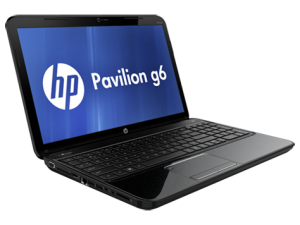 Maybe it can be installed on other HP Pavillion G6 series laptops, but in some cases additional fixes will have to be made. FakeSMC The Mandatory (Very Important) Kext to Run OS X On Your Computer. This is AppleVIAATA.kext that I patched with the device id for my VIA VT8237S sata controller. Use at your own risk, it may or may not help you. This will obviously not work if you don't have the same sata controller as I do. Also, bizarrely, you will have to ignore the usual advice of setting the BIOS to AHCI or RAID mode, IDE mode is the only one that will work here. I've written a little installer that installs the required kexts for ASUS P5K-VM. You need Chimera or Chameleon Installed before run this installer. New product of RehabMan from all version Hackintosh. -> Et les extensions a placer dans S/L/E (VoodooHDA modifié, RealtekRTL8111 & Fakesmc avec les températures). La carte mere devient donc compatible a 99,9% malheureusement... actuellement il n'est pas possible de mettre en veille ! Кек?т GenericUSBXHCI - ?то ?амый про?той ?по?об включить в ?и?теме USB 3.0 чипы ?торонних производителей чип?ета, также как и родные от Интела. Notice: This is for none-Intel USB3.0 controller ! Works like GenericUSBXHCI.kext ! based on Zenith432's patch. In order for Snow Leopard to see the "GMYLE® ExpressCard 34mm to USB 3.0 Adapter (Dual Port)" and a USB 3 hard drive you need both PXHCD.kext (1.0) and this IOPCIFamily.kext. I have an HP DV7. Unfortunately this IOPCIFamily.kext causes a kernel Panic with Leopard. *** Update your laptop with latest bios and choose AHCI mode in bios settings. -Every part exept camera and mic (i will fix it in next upload) working really good. 4) Thats it, rebuild kernel cache and reboot. This is the updated USB 3.0 kernel extension from Zenith. It works flawlessly on my Acer Aspire V3-571G adding "-gux_defer_usb2" to my org.chameleon.Boot.plist kernel flags, if I don't then I get the instant wake from sleep bug. Download & install with a .kext installer of your choice and good luck! For more information on this .kext please see the source link.